Ronda Rousey was in Philadelphia last night where she took on Jax with Bliss as special guest referee. This match took place one day following her induction into the UFC Hall Of Fame and the same match is booked for tonight's Madison Square Garden house show. 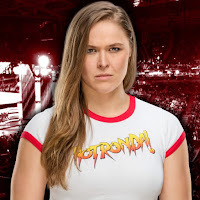 Rousey was victorious in Philly and the crowd was happy to see her back in the Wells Fargo Center, the same building where she made her official WWE debut at the 2018 Royal Rumble event.